The Holiday Season is the best time of year. We have food, family, and more food. The feeling of knowing that Christmas is only 26 days away is exciting and some cases stressful. However, when we eliminate the stress and high expectations, nothing is better than having your family, friends, and the community around you. This weekend is going to be a great kickoff to December, with six different parades and celebrations happening across San Diego. 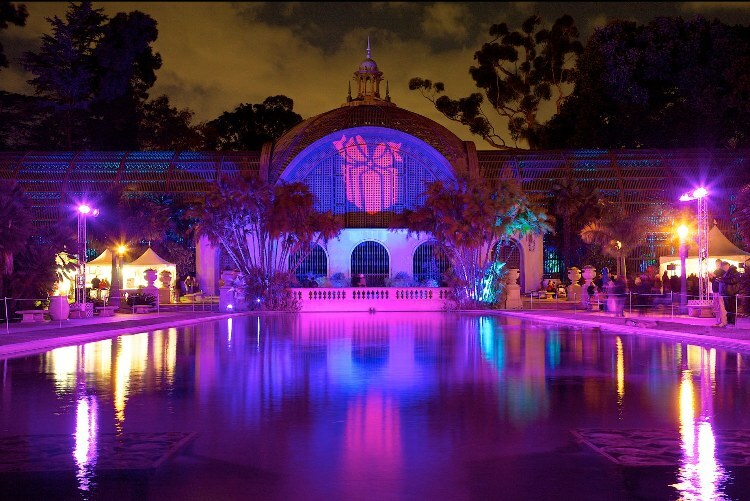 Take your family to witness the Balboa Park December Nights this Friday, December 2nd. The event will start at 3 pm to 11 pm, with free admission to all Balboa Park museums from 5 pm to 9 pm. There will be entertainment and festive holiday lighting throughout the park. If you are unable to make it Friday, that’s ok because this event runs through Saturday evening! From noon to 11 pm the same festivities will be available to you and your family. Take your family to Coronado Island for the Christmas Parade and Open House this Friday, December 2nd. Orange Avenue will be blocked off and turned into a Christmas wonderland. The parade will begin at 6 pm, be sure to allow yourself some time to find a great spot to sit. Stick around for shopping and the lighting of the Christmas tree ceremony at 7 pm. Saturday, December 3rd, there will be quite a few parades and Celebrations. Experience a Holiday in the Village located on Third Avenue in Chula Vista. Let the smell of funnel cake bring you down “Snack Alley” to experience some of the best foods in San Diego. From 12 pm to 4 pm, there will be holiday performances, Santa and other holiday characters, and contest. Stick around to play in the snow and enjoy the Chula Vista Starlight Parade. The Starlight Parade is a free event for you and your family to enjoy. The parade will begin at 6 pm, so arrive early to find parking. Celebrate the holidays with vintage cars, marching bands, dance groups, beauty queens, city officials and Santa Claus. The parade will begin at 11 am; you will find parking for $1 in the North Park Parking Garage. Enjoy a time of laughter and Cheer as beautiful floats coast down Newport Avenue. There will be vintage cars and live music to enjoy. You can count on there being plenty of festivities to enjoy before and after. This parade is free and starts at 5:05 pm.